Social Influence can motivate people more than discounts, or other incentives. Learn the most effective way a hotel got people to reuse towels in this study and how you can translate that into your business success. A Lot of Businesses Rely on Stupid People! Sheep… and Most People are Followers. Commercials blast nonstop, and ads constantly reinforce, whatever a business, government, or other group wishes to beam into our brains. Repeat it often enough and it becomes real or at least close enough to make enough people buy it, believe it, or vote for it. Keep Reading →about A Lot of Businesses Rely on Stupid People! 4 tips to boost your email list opt-in conversion rate with double-opt-in email lists… You might wonder why anyone would go to the trouble of entering their name and email address if they don’t follow up and confirm. Who knows all the reasons; people do all kinds of strange things! 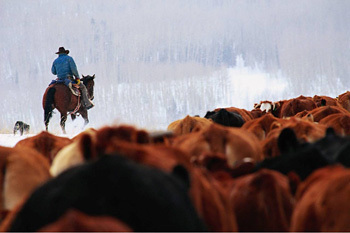 Keep Reading →about Our Job as Copywriters and Marketers – Driving the Herd! 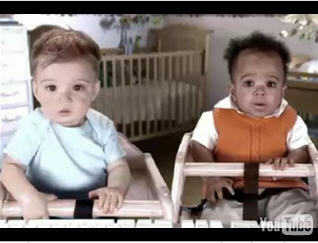 How eTrade used a clever One-Two Punch in this slick and cute Super Bowl Ad. They set you up with the babies subconsciously telling you that you’ve been passed by and then hit you with the number of other people signing up for accounts each day at the end of the ad. A good one-two combination punch! If you don’t feel the pull of this ad then something’s wrong! Keep Reading →about One Thousand New Accounts Added Each Day! If you’re selling something, or trying to get people to take a specific action, don’t assume they get your message. Don’t be subtle, be concise and clear! Keep Reading →about Don’t be Subtle – Wallflowers Don’t Dance! In an experiment conducted at a University in Sweden, 74% of subjects defended a decision they didn’t make, one they were tricked into . How does this happen and what are implications? Marketing Magic: Pulling a Habit Out of the Rat! Keep Reading →about Marketing Magic: Pulling a Habit Out of the Rat! Put the right patterns in your advertising materials and you have people literally stopping in their tracks to look, or put the wrong patterns and no one even reads a word of it. What’s your reality? You may want to be wealthy and successful in business, but if you’re not, then success is just as foreign to you as sharing your wife with your brothers (or being married to several brothers if you’re a woman). If you truly want to change your reality, or your situation in life, it takes a huge effort. Keep Reading →about Two Brothers, One Wife… Perfect Internet Business Model?